Mr Green is an online casino with Swedish roots, and has been around since 2008. Internet World Magazine has voted it best online casino four times now. Mr Green focuses on entertainment, a fact that doesn’t go unnoticed when you start playing there. Furthermore, new players benefit from 10 free spins. Mr Green is licensed by the Maltese Lotteries and Gaming Authority. This regulatory body guarantees fair gaming and secure payments. Green Gaming is all about providing a responsible gaming environment and enables you to set a deposit limit. Mr Green’s website offers a clear view of all of its available casino games. Its online gambling catalogue is both extensive and varied, while the layout of the website enables you to view the games inventory at a glance. Use the search function if you are looking for a game that offers something extra, such as a bonus game or free spins. The games load directly in your browser, without the need to download software. 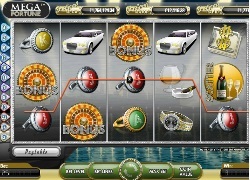 OnlineCasino.in thinks that the different game categories add to the user-friendliness of the website. There is a special section for beginners, offering games that are suitable for less experienced players. This enables you to easily find what you’re looking for. Newcomers receive a 100% welcome bonus over their first deposit. Free spins 10 free spins Receive 10 free spins after registration. Mr Green also runs new promotions packed with free spins and bonuses on a regular basis. Mr Green is wholly dedicated to offering gamblers exciting entertainment. You will find Mr Green himself everywhere on the site. Besides the impressive variety of games, Mr Green hosts tournaments almost every day. Table games: traditional casino games are available, in addition to roulette, blackjack and baccarat. The games catalogue also features such popular titles as punto banco, hi lo switch and ace. Poker: there are 16 different poker games, such as Jacks or Better, Deuces Wild, Texas Hold’em, All American and Joker Poker. Jackpot games: these games come with multi-million jackpots, including Mega Fortune, Hall of Gods and Mega Joker. Slots: Mr Green offers more than 190 slot titles. Spin the reels of different slots, such as Gonzo’s Quest, Lucky Angler, Beetle Frenzy, Jackpot 6000 and Diamond Dreams. Live casino: play live roulette, live blackjack, live baccarat or live casino hold’em against a real dealer. Other games: if you want to play bingo, keno and other fun games, you’ll find them all at Mr Green. Mr Green’s customer service is available via e-mail, telephone or live chat. We recommend that you first check the FAQ section as it offers a wide range of answers. Chat Live chat with an agent as soon as he/she is available.